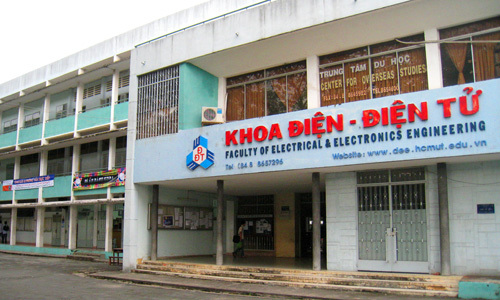 The Faculty was founded in 1957 among the first four establishments of Phu Tho National Technical Center. The Faculty has a role to train both undergraduate and postgraduate students to become highly competent engineers with solid knowledge and practical skills that enable them to solve technological and scientific issues. The teaching and research activities of the Faculty are mainly conducted under the three major fields of interest: Electronics-Telecommunications Engineering, Automatic Control Engineering and Power Engineering. To meet the challenges encountered in the age of rapidly changing technology, the Faculty has a clear objective: to develop and maintain an academic environment of best quality for higher education in the field of Electrical-Electronics Engineering. Efforts were made to update and improve training programs in applied technology so as to meet the ever-growing demands of high quality human resource of the Southern Vietnam business communities. To support advanced research, the faculty has built up several advanced research labs, which are well-equipped with sophisticated and state-of-the-art equipment. Beside department labs, there are three faculty labs and workshops, which provide required practical training courses during study programs including Computer Lab, Laboratory of Electric Machines and Electric Workshop and Electronics Workshop. With a faculty staff of 140 qualified, motivated members and our top achieving and ambitious students, our Faculty is the source of many contributions to the growing economy of the Southern part of Vietnam in terms of academic and technical research achievements.